In celebration of our 9th Anniversary and the launch of our new site, we are doing 9 amazing deals! Each lasting for a week! - Our first deal was delivered to all our customers two weeks ago! It was Free Anti-Reflective/Muti-Coating on All Multi-Focal Lenses! - This was so popular that we extended it by a week! - Our second deal was delivered to our customers that have subscribed to our newsletters! It was Free Anti-Reflective/Multi-Coating on All Single Vision Lenses! - Our third deal was delivered to our customers that have subscribed to our news letter! 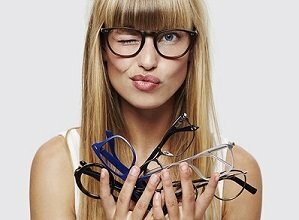 It was $25.00 off when you purchase two pairs of Single Vision Lenses! - Our current deal is - FREE Hard/Anti-Scratch Coated Single Vision Lenses when you purchase one of our frames! That is a saving of $50.00! Limit 5 Per Customer! Code is - 50OFF (Add both the frame and Single Vision Lenses to your cart, enter the code and your discount will be applied during checkout!) Valid until the 7th of November! All our deals are currently on hold as our main machine has temporarily broken down! We hope to have this up and running again soon! Thank you! Our new deal will be launched today! Stay tuned for an update! 4 Eyes Optical - "4 Eyes 4 Your Eyes!" - Because Eyesight Shouldn't Cost The Earth!